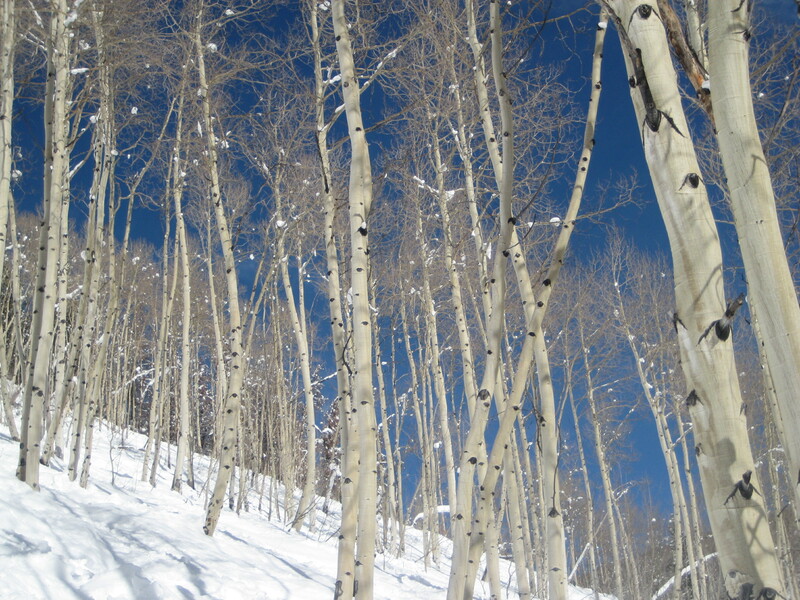 Skiing the Aspen glades at Vail. 2) Dining. From authentic Mexican to Swiss, Japanese, Italian… you’ll find all types of food in Vail at varying price points. Sure, you can spend a fortune clinking your wine glass next to President Ford’s family. (I recommend at least one chi-chi experience during your vacation. Try La Bottega; the truffle gnocchi is fantastic.) But my all-time favourite is Vail’s down-home Bama-style, Southern BBQ joint called Moe’s, where kids eat free on Mondays and ribs are only a buck ($1) on Tuesdays. When you’re out on the mountain you can take advantage of the slopeside lodges’ Lunch for Less: $9.95 daily, including a main, side and drink… in the ski world, this price is unheard of. 3) Terrain. With all that pulled pork in your tummy you’ll need a workout and you’ll get it skiing Vail’s terrain. Yes, there are loads of corduroy-groomed, blue-square intermediate runs at Vail—with 193 of them it’s truly difficult to ski the same run twice, and most have fun, family-friendly names like Swingsville, Hunky Dory and Tourist Trap. But Vail’s x-rated moguls are prolific, too. Better yet, its back bowls are expansive and terrific. China Bowl, Siberia Bowl, Sun Up Bowl, Sun Down Bowl (my favourite) — beyond the views, these bowls’ tree, powder and steep skiing is as interesting as Whistler’s. Vail powder in the sunshine. 4) Weather. Think of Vail as that sparkly, blonde cheerleader the girls loved to hate in high school—the one with the impossibly white teeth and shining personality. 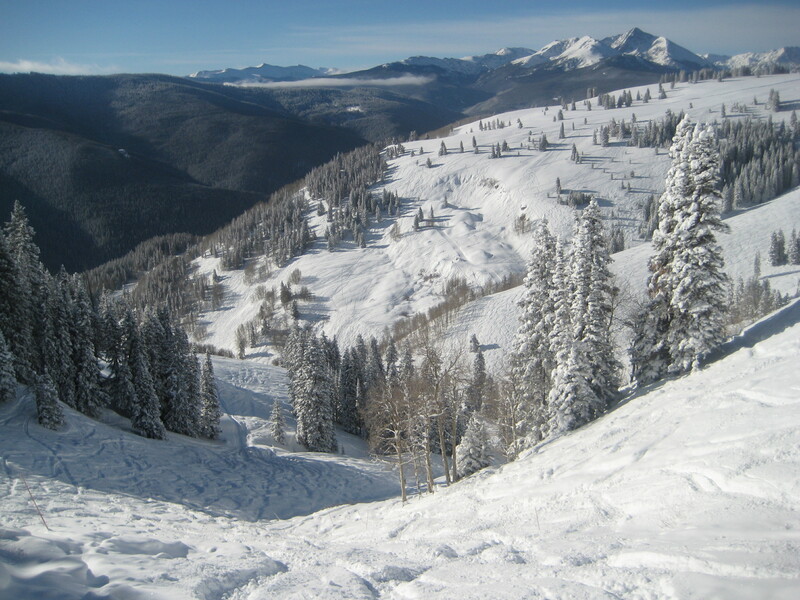 The sun beats brightly on Vail an average of 300 days per year—that’s a lot of blue sky. (No wonder they call some of its best terrain Blue Sky Basin.) 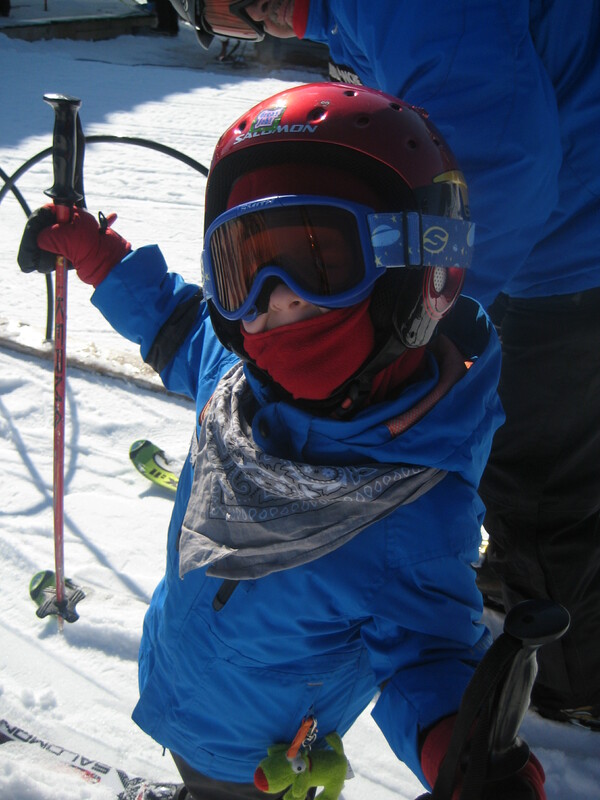 And yes, at Vail there are a lot of white teeth and sunshiney smiles, especially in the liftlines. 5) Accommodation. You can spend a fortune shacking up in Vail… I will not mislead you. My favourite luxe haunt, The Arrabelle at Vail Square, will run you $600 per night easy. But its lodgy, fireside feel, cushy Euro bed, steamy rooftop pool and How-Can-I-Help-You staff is worth a serious splurge. The Four Seasons has opened a new hotel nearby (think: heated towels by the pool)… sign me up. And while this quintessentially plush ski resort does luxury well, there’s value at Vail, too. Both the Lodge at Vail and the Austria Haus have third, fourth and fifth night free offers on varying weeks all season. Skican’s 2011 Vail deal starts at $1825 for airfare from Toronto, a six-day lift pass and seven nights’ lodging at a choice of good condo/hotels, including one I know and recommend: The Antlers. A downside of Vail is its sprawl—there is no real town centre. That said, wherever you lay your head, you may not need a rental car at Vail… the airport shuttles and ski resort transit systems are fast and efficient. Bonus: And now for the bonus: Vail-the-Unexpected. I am as guilty as the next ski writer for stereotyping resorts. When asked “Where should I go?” I’ve been known to answer: Whistler, B.C. for challenge, St. Anton, Austria for the Euro vibe, Big White, B.C. for family… and Colorado’s Aspen or Vail for luxury. But Vail can surprise you. Example: one of my best ski lunches ever was had not at swank, red-carpet spot, but at Blue Sky Basin’s Belle’s Camp, where there’s little more than some picnic tables and BBQs at an elevation of 3,527 metres. A friend marinated steak, veggies and chicken in a ziplock bag and toted it up there in a backpack… the meal was heaven. Another surprise—and this one you’ll have to keep to yourselves—is Vail’s Minturn Mile. Meet locals at the “Top of Three at Three” (Chair No.3 at 3 p.m.) and head out of bounds for the ultimate glade-skiing adventure, which finishes about two hours later at a honky tonk in the village of Minturn. Warning: Make sure you’re an expert, and do not ski this alone or minus a guide. Tag along with a local… just don’t tell them who told you. 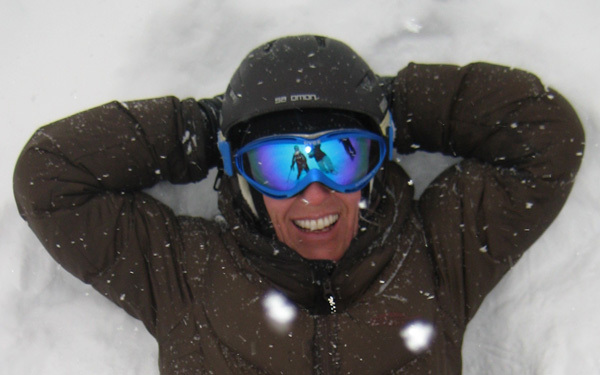 Follow Lori’s ski adventures this season on Twitter: @LoriExploring. 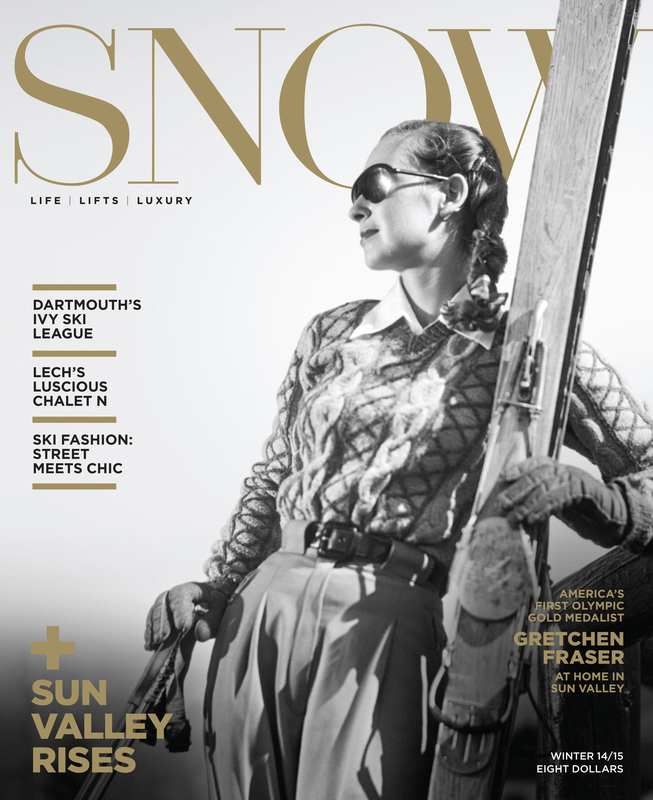 This article was written originally for Lori’s Inside Edge ski travel column in the Toronto Sun. Copyright… all rights reserved. No part of the article may be reproduced without written consent of the author.